In the modern times the rate of energy consumption's in households has gone up due to variety of gadgets starting from a toaster to a HVAC. The energy consumption varies with capacity and run-time of the device. But there is no denying of the fact that HVAC is one of the major consumers of energy in the house. It is run round-the-clock during the peak winter and summer months. But in spite of all this, electric bills generated by HVAC also have a standard limit. If it exceeds the limit, the reason should be investigated. •	Your windows remain open or there is no window stripping. If these things are fine and you want to save on your energy consumption, then here are some of the things that you can do to regulate your day-to- day energy consumption through HVAC. 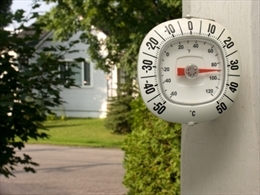 •	Exposure to sun is one of the major causes of why your house gets overheated in summer. You can therefore do a few things to modify the effect of sunlight on the house. Have heavy drapes to cover your windows. Draw your curtains and blinds to guard your rooms from sunlight. The sunlight hits your exterior walls. The heat gradually radiates from the walls to your living space. To prevent this you can plant some big trees in the sun ward side of the house. This will create a shade around the house and keep it cool at the day time. You will see a difference in your power bills in a couple of months. •	Most of the sunlight reaches your rooms through the windows. You can have solar window screens fitted in your windows. It is a thin mesh installed on the outside of your windows. It can be useful for, particularly, east-west facing windows to help reduce energy costs. They can reduce the effect of radiant heat from the sun by 60-70%. •	Using ceiling fan in the house can certainly reduce the temperature inside. But you should know how to use them. The HVAC is designed to send air at farthest extremes of the house. Putting on a ceiling fan will disturb this. A fan will almost blow back the air in another direction. It should be made to work to enable better flow of air in the room. It should move in anticlockwise direction to pull the warm air up and send cool air down. 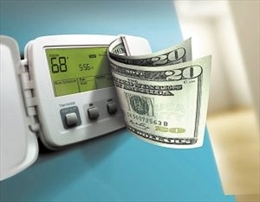 •	Replacing your old air conditioner with a newer and an efficient one can lower your electric bill by up to 50%. Change or clean your filter at regular intervals. Dirty filters restrict airflow. It forces the machine to work harder to producer cooling by compensating for the poor airflow. Read the manufacturer’s manual to know at what intervals the filter should be changed. Also ensure a perfect installation of your new unit. Get your unit serviced. Keep your ducts clean and free of leaks. •	Sometimes we close air vents around our homes to regulate temperature,. Sometimes we forget to open these. Survey the house for closed vents. Open them, if any vents are closed.